I've been seeing the reverse canvas method going around so decided to give it a try myself and I am hooked. I had this saying pinned for quite some time so today I finally made the SVG and applied it to my reverse canvas using black Oracal 651 vinyl. I've seen the reverse canvas method done 2 ways as far as removing the canvas from the wooden frame, I opted for the easier of the 2 which is to use an x-acto knife and cut around the staples on the reverse side so you can lift the canvas off. Some people opt to remove the staples but I just left them in. Next you'll prep the frame by sanding down any rough areas and then either stain or paint it. While your frame is drying you can apply your vinyl or HTV to the canvas. 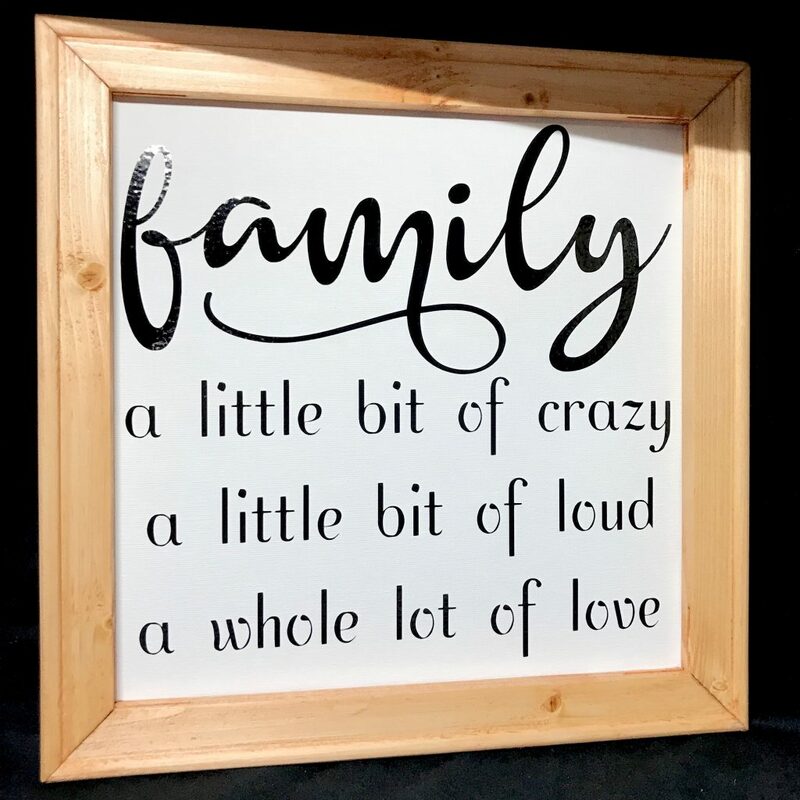 Once your frame is dry and your vinyl is applied you reattach the canvas to the reverse side of the frame, I used an electric staple gun, making sure that you pull the canvas tight as your attaching it. Once you're finished just trim off the excess canvas and you're done. This is an SVG only file so there is no direct link to a Cricut Design Space project. 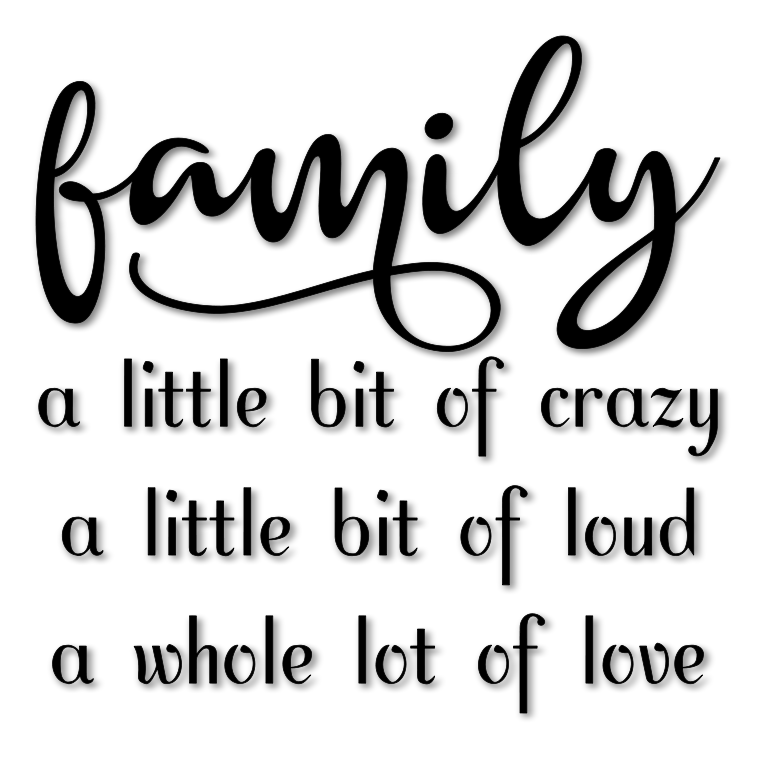 You can download the SVG file Family Crazy Loud Love SVG. Hi there! I was just wondering if your files are for personal use only or ok for commercial use? I keep all my files separate and can’t find any reference for your files:-) I love your projects and don’t really sell anything, but I would like to keep them separate! Hi Kelli! I do allow commercial use for small businesses, just no mass productions using the files. Thanks for asking!